I haven’t posted one of these for a while. This short bio-fictional piece is part of a series I’m writing under the title Evocations. I loved this. It captured that strange moment when a fictional character merges with the person who portrays him. 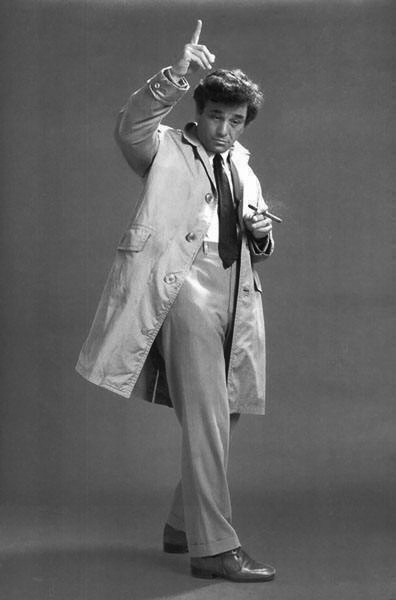 Peter Falk and Columbo have merged to such an extent that they might seem indistinguishable to many. To me, Columbo is one of the great fictional characters of all time and Falk is one of the greatest screen presences of all time. So sad to read that the actor is now so affected by dementia that he can’t remember Columbo or ever having portrayed him. What an ironic, tragic, cruel, upsetting way for this fictional/factual story to end. Hey Ed, this was a great read. I just posted my next Top 10 blog entry. Stop by and let me know what you think. Many thanks, Chris. All the best. Just to keep you up to date Ed, I posted a new blog re: a book Other People’s Heroes. It was written by a friend of mine, and its a great read. Check it out.